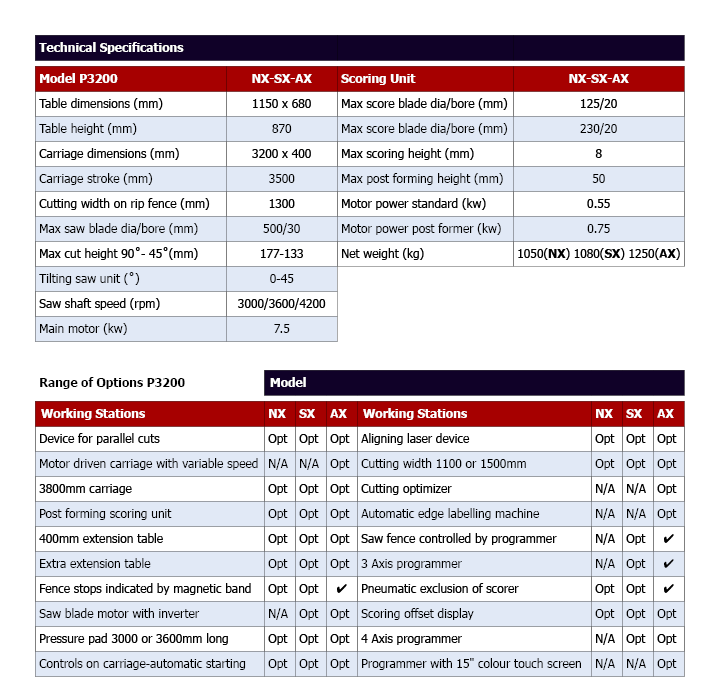 To compliment the P45 panel saw the 3200 series offers a range of features including motorised fences, programmable control and links to optimisation software. With the emphasis today on smaller batch sizes and flexible production, research has shown that a typical panel saw operator spends more time setting up the machine rather than actually cutting. With the fully programmable 3200AX the capacity of the saw can be increased by up to 30% above a conventional saw. With the added benefit of total accuracy and repeatability. 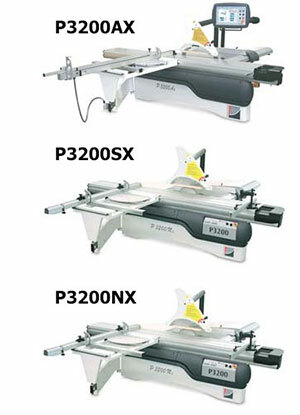 Many small to medium manufacturers have discovered that the output and flexibility of this type of machine can be more beneficial than the addition of a second saw.